Investigating the appeal and beauty of shared but unique experiences, Jade Usackas, Ashley Berkman, Kelsie McNair, and Nadira Narine join together as Tempestuous Commons to explore the female form as a narrative tool for expression. 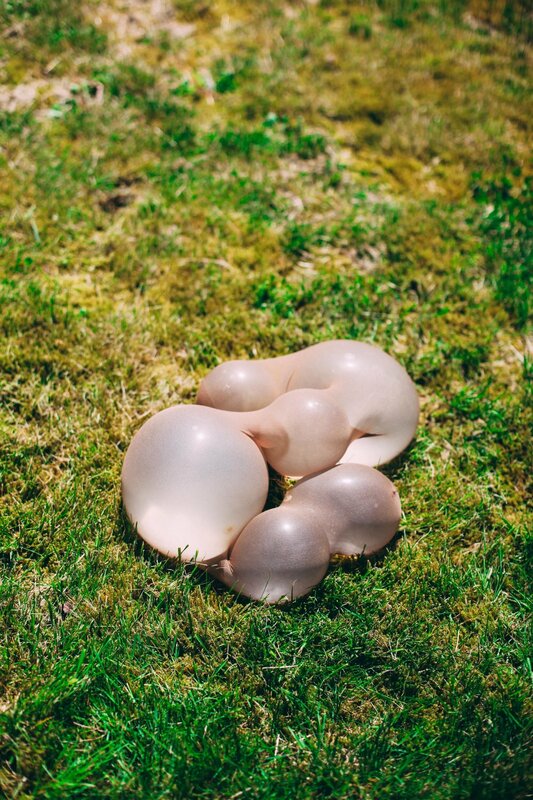 During the Hauberg Fellowship at Pilchuck in the spring of 2017, the collaborative group utilized a variety of media and techniques to develop pathways to new work, methods of thinking that transcend a singular notion of femininity, and gained a greater understanding of how our individual and collective perspectives persuade artistic practices. Over the course of the fellowship Tempestuous Commons explored the theme of the female form with a focus on some of the following concepts: Folds of the skin, proximity and touch, phalanges, hair, mouths, forms in nature, intimate moments and spaces, the realness of the body, explorations into active emotions, beauty in the grotesque and, humor and intimacy.